Jarmo works as Customer Service Engineer at Kone Oy. Kone is the third largest manufacturer of elevators in the world. Jarmo lives in Hyvinkää, a small town 50 kilometers north of the capital Helsinki. 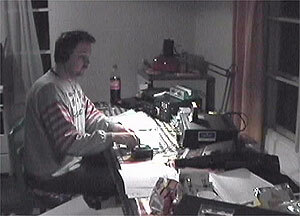 Jarmo has been DXing since 1977. By 2002, he had received verifications from more than 1950 stations in 207 countries. His interests cover MW, SW and FM band broadcasting stations. Most of all he enjoys listening to stations from Africa, Asia and the Pacific.